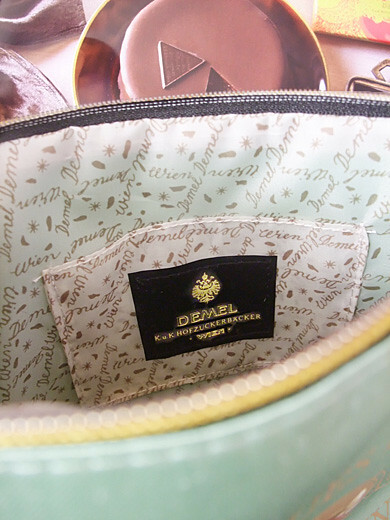 Demel is a confectionary of Wiener, famous for chocolate and other good sweets. Their branch shops are beloved in Japan too. 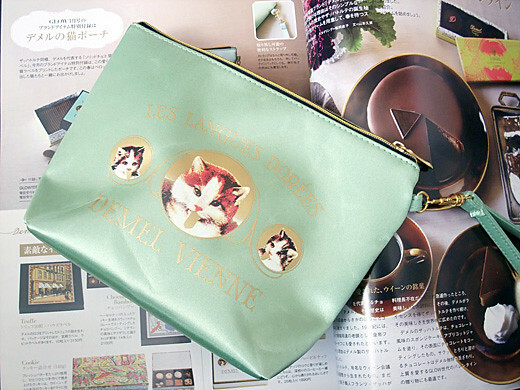 One of their famous sweets – box of cat tongue shaped chocolate is of course good for Valentine’s day gift. The box became a cute pouch! Same as a real box, logo is inside! 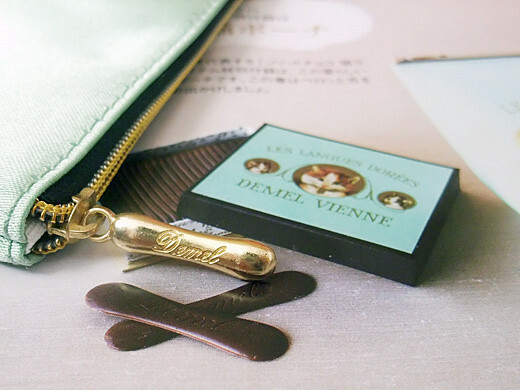 And more, zipper pull is a shaped as cat tongue chocolate!! The pouch is a freebie of “Glow” magazine. How could I stop buying mag for this pouch? I know what you mean, the free gifts always get to me too!! !